Wednesday, May 23, 2018, 12:30 – 1:30 p.m.
A coalition is an alliance for combined action. 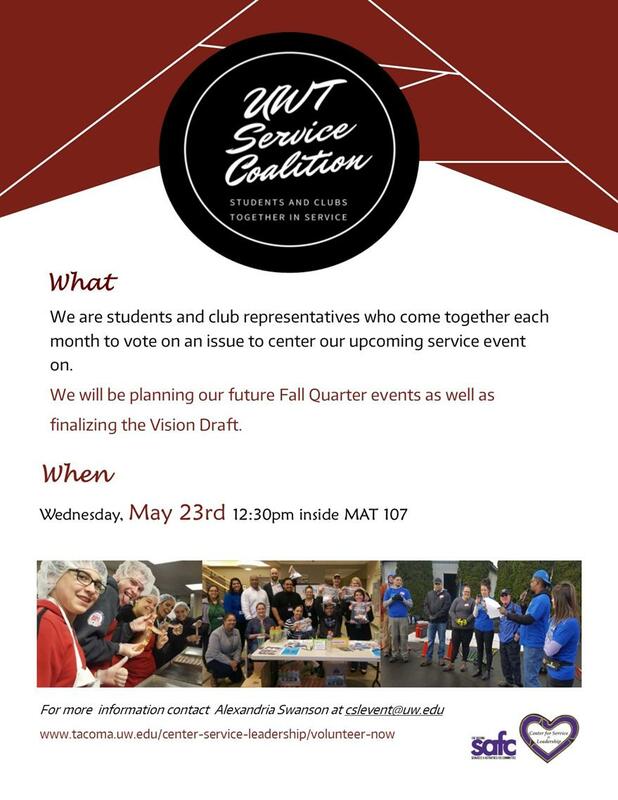 The Service Coalition is formed of individual students and representatives of student organizations that meet together once a month to decide on a community issue or theme that their upcoming service event will address. Service events will occur once a month at times determined by the group. In this meeting we will be covering our future plans for the 2018 Fall Quarter as well as finishing our Vision Draft.